For once, it is not the story to be reviewed, but a presentation of the story. 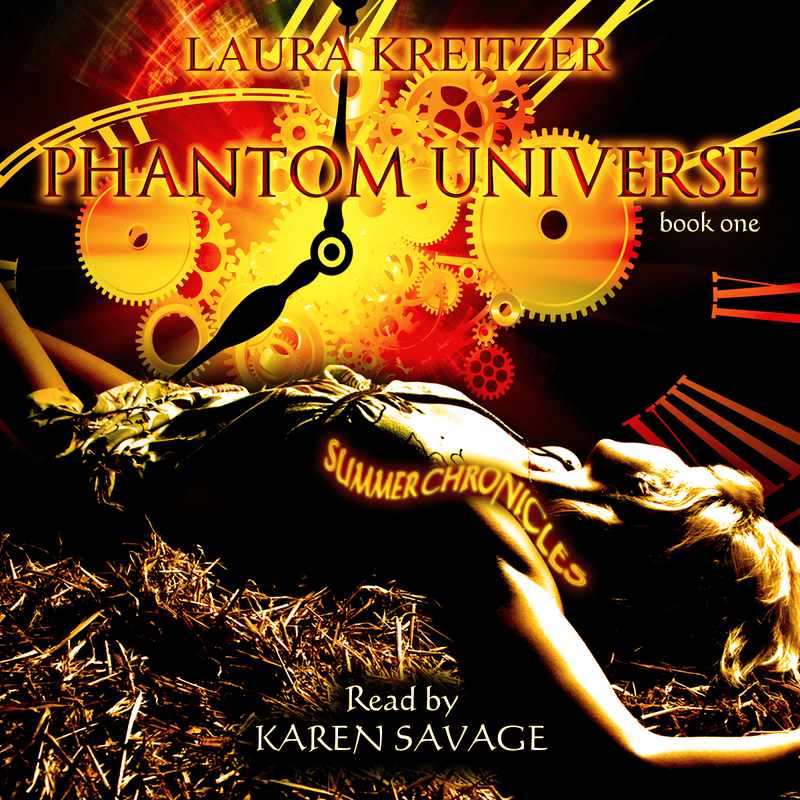 The Geeky Chic was fortunate enough to be granted the chance to listen to the reading of the book Phantom Universe, as done by Karen Savage. As a large fan of classic radio theater, audio books are a continuation of a decades old style that leaves the listening to picture what the storyteller is verbalizing. Being a fan of the book itself, this presented a new forum: for the voice inside to be narrated by another. Phantom Universe, Summer Chronicles #1 follows the story of a young woman named Summer, a mute slave who has spent an entire life on a pirate ship, only to experience the alternative state on an alternative shore. Moving back and forth through time, a story is presented with an interesting array of characters, settings, and individual principle that tie toward the main goal. Therein lay the challenge for the reader: to fluctuate between the changing characters, scenes, and ideals. Each character had to be unique, while the flow continuous. Savage is possessed of a soothing, melodic tone. While this works to draw the listener in, unfortunately it is not varied enough at the right moments to break up the continuity when action arrives. What works in the beginning and in the middle had hard transitioning points in the center of each, and onward to the end. One example that caught my attention was when the pirate ship Summer is on was first introduced. The descriptions concerning whipping and abuse were strong, but not enough punch was lent to the moment. There was good detail paid to variation in accent between characters, and lit between female and male. Jayden and Landon stood out as the strongest presentation of this, with attention paid to emphasizing emotion, inquiry, and range in their dialogue. In moments like these, Savage is able to shine. Yet when it wasn’t consistent, it hindered my ability to fully invest in what was taking place. What would have improved this reading would have been an equal range of emotion between character and scene, for when you can’t fully enjoy the setting, it is hard to appreciate the characters in it. When you can’t appreciate the characters, the story becomes harder to follow. One of the most significant moments of fear, power,and presence that Savage has was in the first person perspective of Summer’s nightmare. Suddenly, the reading style changes so dramatically it commands your attention. What the young woman was experiencing was truly terrifying! I wish this ability to captivate, keep, and continue was utilized throughout the story. While the quality of the reader’s voice was pleasing to the ears, the inconsistency made it hard for full story investment. Savage’s voice rings more poetry than science fiction, but it was still a good listen.